So much fun for a fairy tale dress-up party! 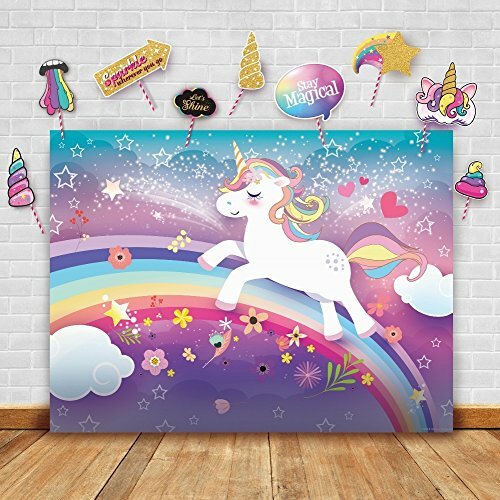 You will be completely blown away by these sparkling unicorn-themed backdrop and props. This bundle set will instantly liven up your party setting. Each item is thoughtfully curated by our team of party experts to coordinate perfectly with your party theme. The slightly oversized photo booth props will naturally bring out your guests' creative genius and humor. So get that camera ready, and take some amazing shots! ALL Glittery Garden branded products include our quality and authenticity guarantee. Your satisfaction is guaranteed or else you'll get your money back! If you have any questions about this product by Glittery Garden, contact us by completing and submitting the form below. If you are looking for a specif part number, please include it with your message.